Last week, the networks finally started sending out the remaining cancellation and renewal orders for the series. Now that we know what’s in and what’s out, this week, the networks have started to cement their lineups for the 2016-2017 season. Fox, in particular, seems to be looking really far ahead. This week, the network announced that it has already chosen a show to air in the coveted Super Bowl and it’s an already pretty well-known one. 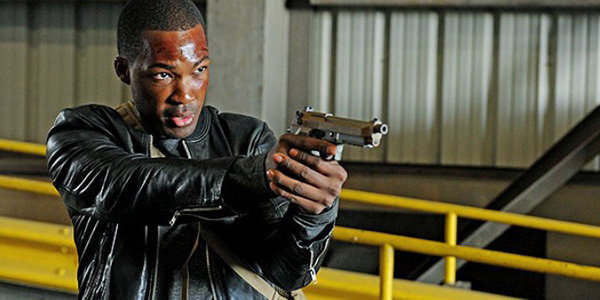 24: Legacy will be getting the post Super Bowl slot next year. Next season we are going to use the incredible platform of the Super Bowl to launch 24: Legacy, which we are extremely excited about. We feel like this is the perfect opportunity to launch our midseason with 24 and then using 24 the next night in its regular timeslot on Monday at 8 p.m. to launch APB. So, there you have it, a new 24: Legacy during the Sunday night game, and then a new episode the following Monday night. After that, we’ll get the premiere of APB, the new series from Len Wiseman and Burn Notice’s Matt Nix. That show will be a police procedural—which should fit in well with 24: Legacy. It will follow a billionaire engineer named Gideon Reeves who will be spurred by the murder of his best friend and will use his money to take over a Chicago police district and turn it into a private police force. Everybody’s got to have a gimmick. While APB is still a very strong question mark in terms of how it will do in Fox’s ratings standings, 24: Legacy has a well-liked franchise to back it. We already know that the 24-episode, 24-hour timespan does work for the franchise. However, 24: Legacy is going to have a brand new cast. As such, it’s more of a reboot than a continuation, and whether or not fans will continue to stick with 24 now that Jack Bauer is no longer a key component remains to be seen. Still, getting the chance to see each network’s new lineup is a little exciting. While we wait for fall TV to hit the schedule, you can check out what Fox and the other networks have coming up this summer with our Summer TV premiere schedule.